Improving mental and physical health in hard to reach communities can be a challenge for many nurses. But a Sikh nursing lecturer is using social media and visiting temples (gurdwaras) and community events to do just that – and to encourage organ and stem cell donation. 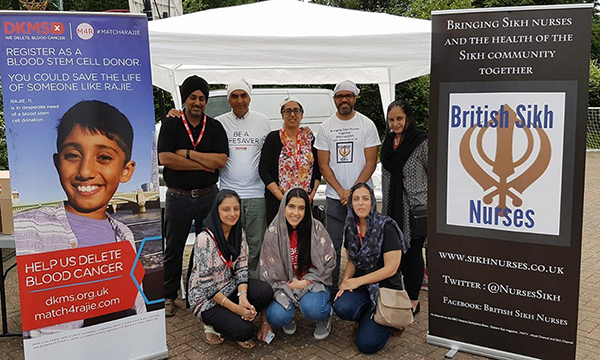 Rohit Sagoo, a senior lecturer at Anglia Ruskin University, founded British Sikh Nurses in April 2016 to provide a platform for colleagues to discuss health issues affecting the Sikh community. When he started his career two decades ago, he was the first British Asian male paediatric nurse. ‘Asian doctors would be surprised when I walked onto the ward, although they would respect me 100%,’ he recalls. ‘Many Asian men pursue a medical career but I broke a glass ceiling by doing something different. Mr Sagoo had been giving informal health advice to friends and family, and in temples, and realised many issues were not widely discussed. 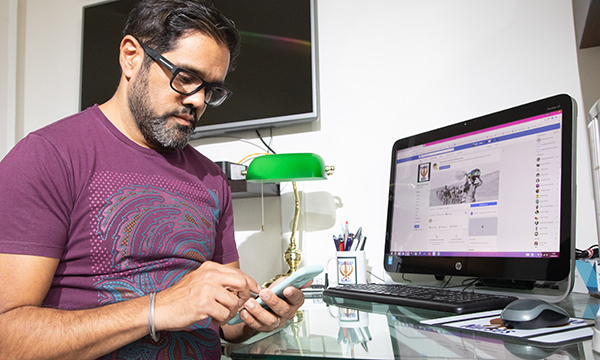 Mr Sagoo uses social media for health promotion and education in the community. He decided to harness social media for his mission as ‘a place where an open dialogue of health and social issues in the Sikh community could take place’. 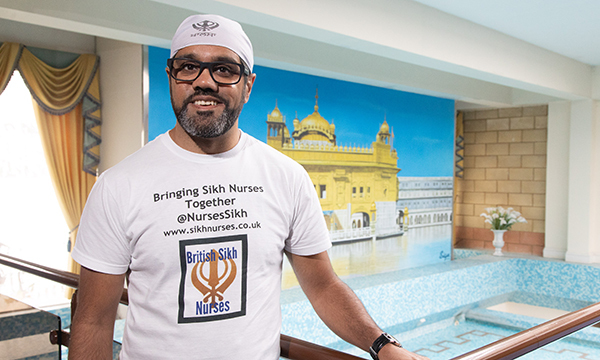 As well as bringing nurses together on Twitter (@ NursesSikh) and Facebook, Mr Sagoo highlights Sikh news and community stories and information about nursing and healthcare generally. The initiative has been a great success and British Sikh Nurses now has about 11,000 followers on Twitter and 32,000 on Facebook. So how did he achieve such an impressive amount of interest? He believes that the time is ripe for a profound change in attitudes. Other issues raised and discussed through the forum include excessive drinking. 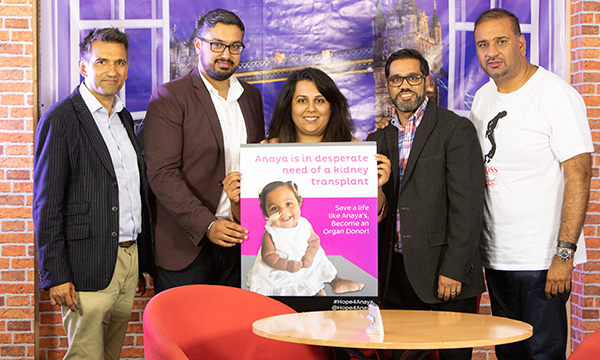 Mr Sagoo has also been working with the Department of Health and Social Care and other groups to increase the number of organ and stem cell donations from the Asian community. This work has seen him appear on numerous TV channels dedicated to the Sikh and wider Asian community, and more general media such as the BBC’s Victoria Derbyshire programme. ‘Organ and stem cell donation is a much needed topic of debate,’ says Mr Sagoo. ‘People think they cannot donate because of their religious beliefs, but no doctrine says that. ‘The older generation worry about the afterlife and they have begun to see that the chances of survival for children who are on the register waiting for donors are slim. Mr Sagoo attends a wide range of community events to raise awareness and register people for stem cell donation and he is supporting a campaign by blood cancer charity DKMS which has been trying to find matched donors for three children from the Asian community who have leukaemia. ‘Not many Asian people have come forward, and these community events attract people from many different backgrounds from Afghanistan, Pakistan and Punjab. You can reach a lot of people,’ he says. an increase in stem cell donation from the Asian community. 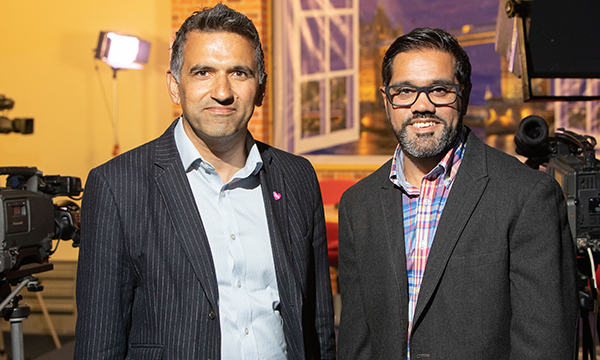 The organ and stem cell donation drives Mr Sagoo has carried out with DKMS have seen an increase of 3,500 new donors on the DKMS and Anthony Nolan registers, specifically from the Asian community. Mr Sagoo is excited about the proactive health work the group is undertaking with the Association of Sikh Doctors in the Midlands and south England. In April, the two groups’ collaboration over the Vaisakhi festival weekend at the gurdwara (temple) in Smethwick saw the single biggest screening event ever by voluntary organisations. Over a six-hour session, they achieved 394 full NHS health checks, including bloods, blood pressure and glucose levels. They also carried out 119 electrocardiograms (ECGs) to screen for atrial fibrillation, ran parallel sessions on cardiopulmonary resuscitation (CPR) and an exercise class for more than 200 people. ‘It is amazing to be working together but we are seeing a rise in obesity that needed to be addressed,’ says Mr Sagoo. This will be a focus of future work with gurdwaras, all of which offer a free meal, known as langar, to every visitor regardless of religion. Mr Sagoo is proud that British Sikh Nurses has improved the physical and mental health of its community. And he is delighted that one of the three children supported by DKMS has found a stem cell match. But there is still more to do, he says. ‘In the near future our plans include encouraging more stem cell donations and getting out to more Sikh temples to discuss mental health. We are also planning to work with the Centre for Sikh and Punjabi Studies at the University of Wolverhampton to undertake research about mental health in our community. 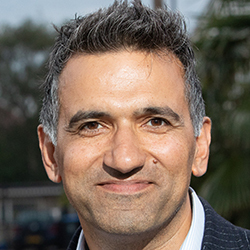 Gurch Randhawa is professor of diversity and public health at the University of Bedford and director of the UK Organ Donation and Transplant Research Centre at the university. He says research shows that if you want ethnic and faith communities to engage with donation, you need grassroots engagement. ‘Rohit came to me about a year ago and told me that British Sikh Nurses wanted to contribute. He’s been fantastic, taking that grassroots approach that we know is effective with particular communities,’ he says. ‘We have carried out lots of engagement work with the media, including Sikh TV, focusing on organ and stem cell donation. We are trying to reach different audiences, those who don’t speak English as a first language but might speak Punjabi or others. ‘Rohit undertakes this work in his own time because he has to fit into his community’s timetable,’ adds Professor Randhawa. ‘He has exhibition stands at Asian events at weekends, and as Sikh temples have the biggest congregation on Sunday mornings, that’s when he has to be there. ‘If we want to raise awareness through Asian TV channels and reach the first generation demographic – people like my parents who arrived in the 1950s and 60s and whose first language isn’t English – then we need to be on those programmes weekday evenings and weekends, as that is when they will sit down and watch TV. ‘It is the way the Asian community works. My mother is a great example of this – I may be a public heath professor but the harsh reality is that she won’t listen to me. ‘But she will listen to a Sikh priest in the temple or a friend from her generation. We have to tap into that as we know that’s what works. ‘Research shows that the white community is good at changing its diet and implementing lifestyle changes, but not good with taking medication. Asian people will be 100% compliant about taking their pills and terrible about lifestyle changes. ‘If you are a trusted by a community, you are more likely to get them to comply. That trust takes time, but structures change every few years in the health service so it never really beds down. Unless you have community organisations like British Sikh Nurses, you are never going to get that connection with the community. ‘I have been working in communities trying to improve donation rates for 20 years. Sometimes people say to me “you found us now that you need our organs, but why didn't you help us before we had diabetes and high blood pressure and started to need the transplants?” I can’t blame them. ‘And this is what Rohit is trying to address. He takes a holistic approach that improves the community’s overall health, using opportunities to talk to people about their well-being, including mental health, alcohol intake and blood pressure.